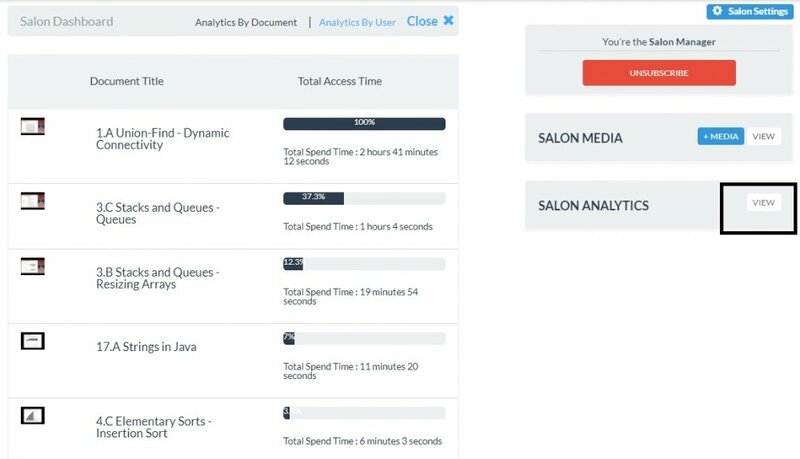 Any Salon manager/instructor or moderator can view salon level analytics. To access salon analytics, go to salon home page and click on analytics as shown below. There are two views of analytics. 2. 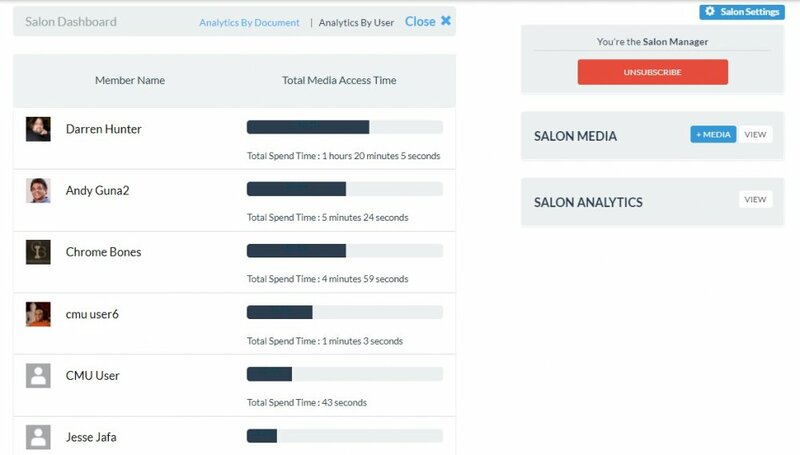 By Users – This shows how all users in your salon access media. For example, you may conclude that a user with low level of access is at the risk of failing the course.